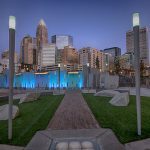 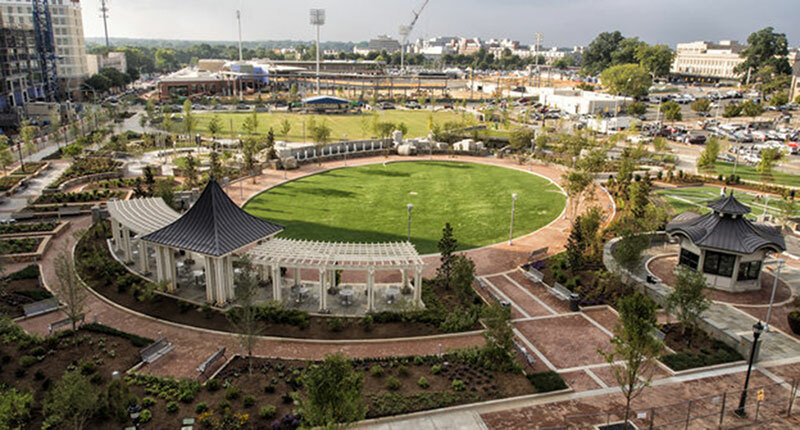 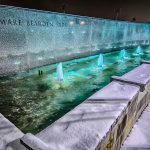 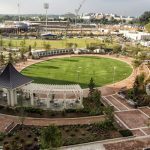 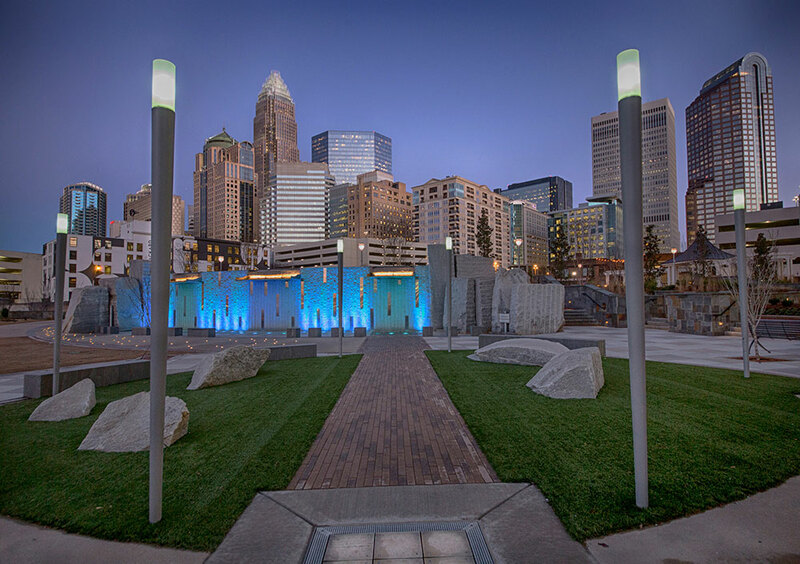 This 5.4 acre urban park is inspired by the work of internationally known artist and Charlotte native son Romare Bearden. 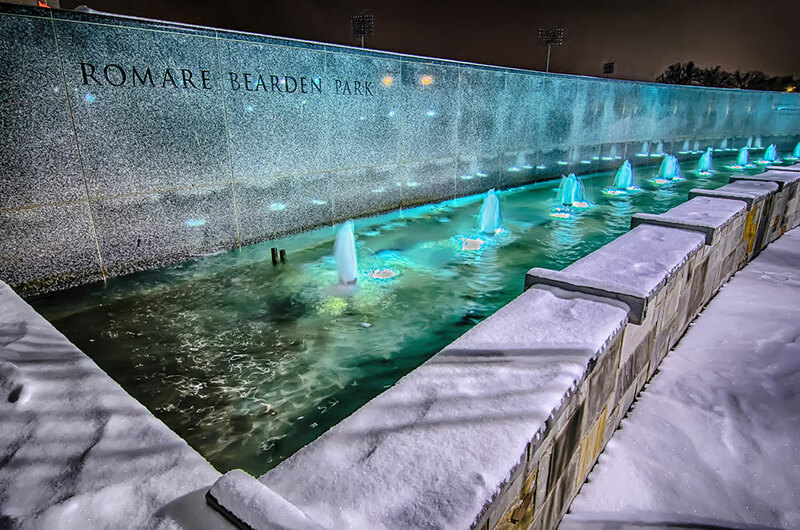 The master plan and overall design evokes Bearden and his use of memory as triggers for inspirational experiences. 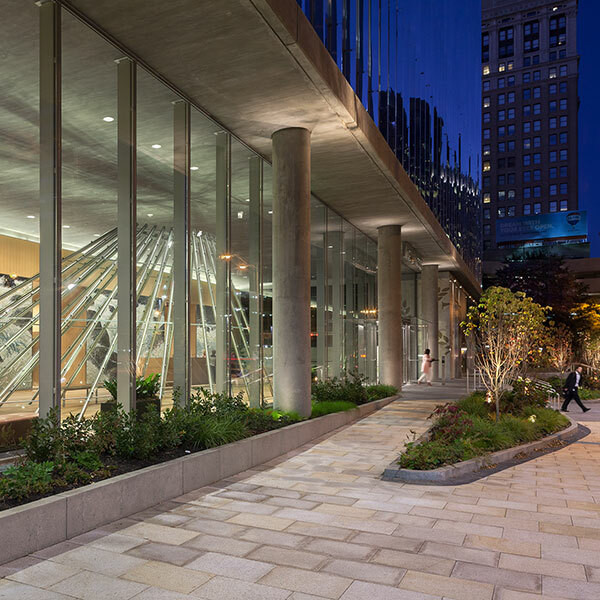 This influence resulted in a diverse mix of urban park elements including a variety of discovery gardens, a courtyard shaded by articulated tree canopies, and sweeping pedestrian paths expressing both movement and reflection. 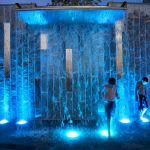 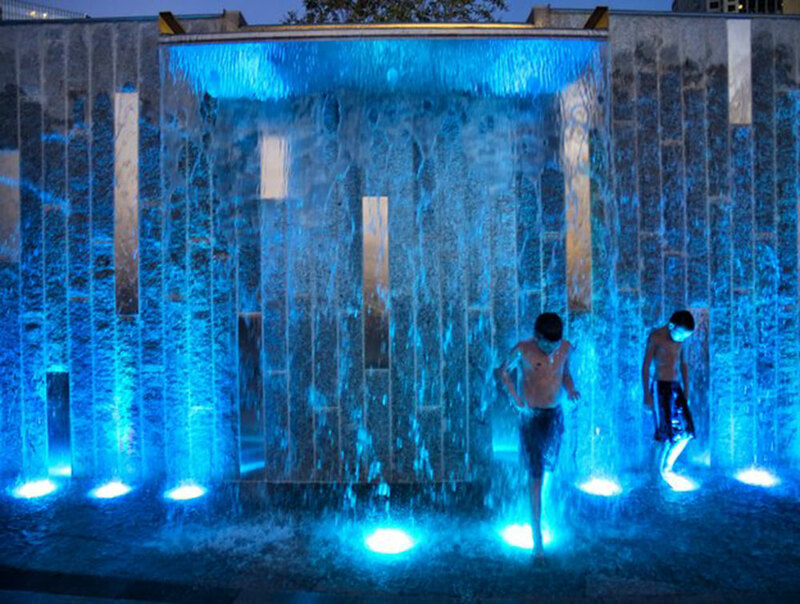 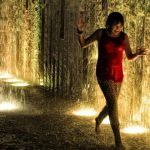 A formalized event space dissolves into a large open green for both informal interaction and organized gatherings, highlighted by a play area with visitor engaging digital chimes and waterfalls. 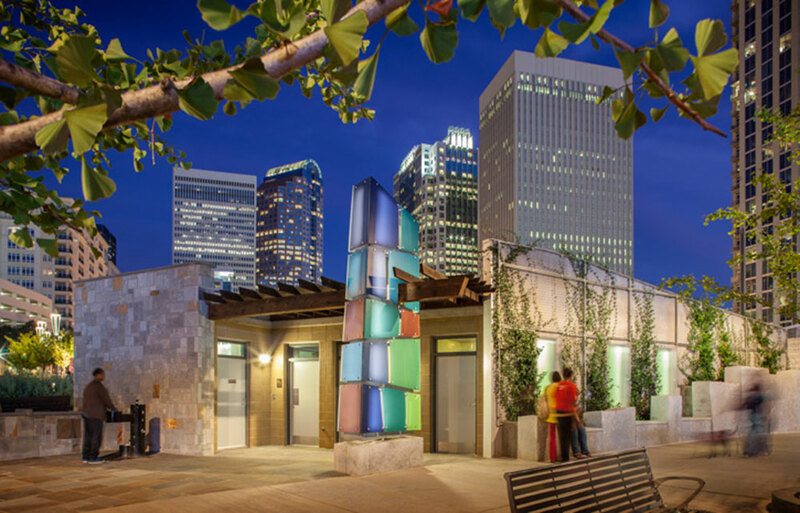 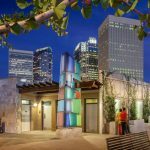 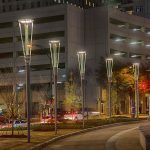 Lighting reinforces orientation, way-finding, and the special moments that embrace the spirit of Romare Bearden while providing a safe, secure, and often playful environment. 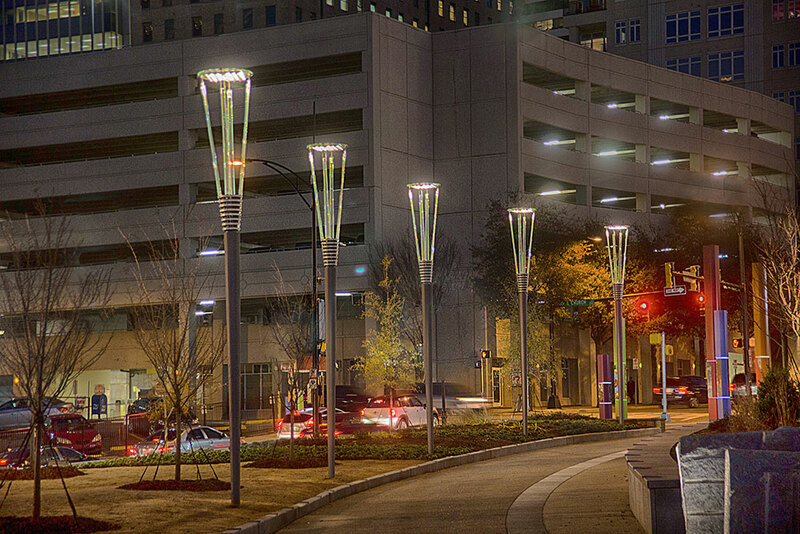 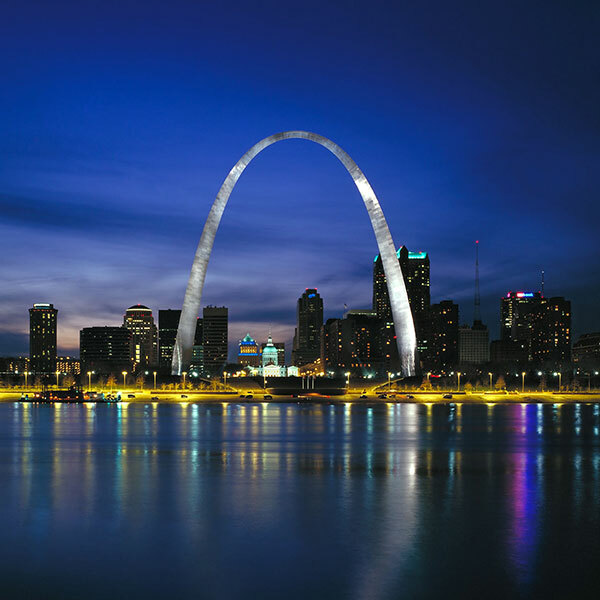 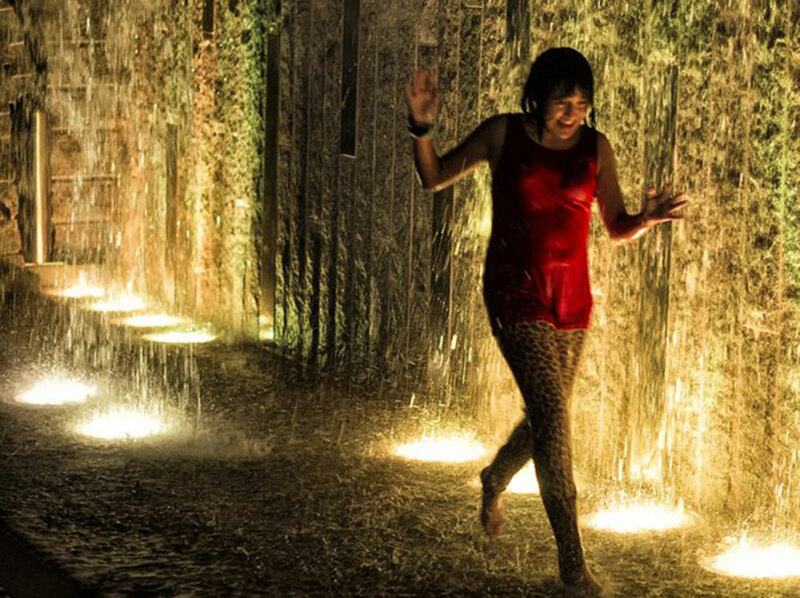 The use of LED technologies throughout much of the park addressed concerns of the City’s long term operation and maintenance.